Rough winter weather conditions can bring dry skin and noses, scratchy throats, increase asthma and allergies, and annoying shocks from static electricity build ups. A home humidifier helps to eliminate symptoms of dry air and help restore personal comfort back to your life. Additionally, bringing moisture back into the air with a home humidifier helps to preserve paintings, furniture, woodwork, and other valuables that can be affected by changes in the climate of your home. Dried out skin is one of the not-so-great symptoms related to cold weather. It becomes increasingly difficult for those who already suffer from skin conditions like eczema and dermatitis. Low humidity levels can also result in uncomfortable skin problems like nosebleeds and cracked lips. Installing a whole-home humidifier will help skin conditions improve and under control. Dry air struggles to hold warmth. However, when there’s moisture in the air, it feels warmer. Whole house humidifiers can help you feel warmer at a lower temperature, which will give you the ability to lower your thermostat a few degrees and save money on heating costs. Our house humidifiers and furnace humidifiers are easy to install and come with a simple humidistat for set-it-and-forget-it control. We also provide humidifier maintenance to ensure that your home humidifier is functioning properly. 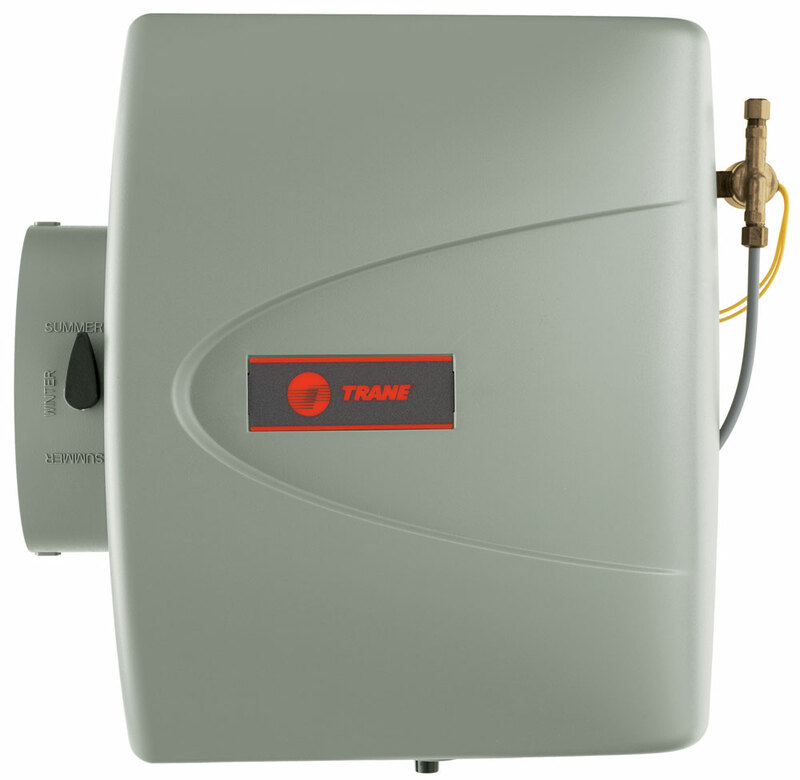 Trane’s THUMD200/300 bypass humidifiers come with a 10-year parts warranty and, with proper maintenance, should match or surpass the useful life of your home furnace. Trust the home humidifier installation and replacement experts at Fred’s Heating and Air in Omaha. Contact Fred’s today for more information about our humidification solutions or humidifier installation services. Fred’s Heating and Air’s professionally trained and certified service technicians are experts when it comes to furnace repair, humidifier repair and installation, and air conditioner replacement on all makes and models of furnaces, humidifiers, and AC units. Our technicians pride themselves on acting as trusted advisers to our valued customers, never trying to sell them anything that a homeowner does not want or is not necessary. Contact Fred’s Heating and Air to learn more about whole home humidifiers and furnace humidifier installation.